Imagine how long it took to chop nuts before food processors or whisk a homemade cake by hand? You can be the most amazing baker in the world, but without the right tools, it’s going to be a lot harder. That being said, getting all those kitchen tools can be seriously expensive, and with so many different gadgets out there it’s hard to know which kitchen essentials you really can’t live without. Well, don’t worry. We’ve rounded up our 10 favorite kitchen essentials, with our favorite and a less expensive option if you’re ballin’ on a budget. Read to the end for some bonus finds for our absolute FAVORITE basics (think rubber spatulas and my fav parchment paper). The best part? You can buy everything on Amazon. If there is one kitchen essential you can’t live without this is it. Bonus points because it’s ON SALE. It comes in every color imaginable and will last a lifetime. The 5 quart is the perfect size–big enough for a large recipe, but small enough to fit in even a teensy apartment kitchen. If there’s one thing on this list that you splurge on make it this one! If you don’t have the funds right now (I have been there!) you can always get a hand mixer. It’ll do the trick and give your arms a break, because no way you’re going to get your egg whites stiff enough for those cookies and cream macarons without something motorized. All Clad pots and pans are by far my favorite brand. While they’re definitely a splurge, they’re worth every penny. Before I invested in these bad boys I felt like I had to replace my pots and pans every year and half. These ones stand the test of time! If you’re not looking to spend a fortune on pans right now I understand. This Cuisinart saucepan will do just the trick at a fraction of the cost. 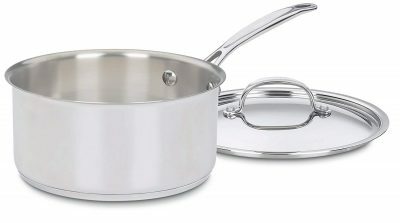 Both this one an the All Clad pan above are 3 quarts which is the perfect size if you’re only looking to invest in a few pans. It’s big enough to boil some tagliatelle or cook something substantial without it spilling over the edges, but small enough to store easily. 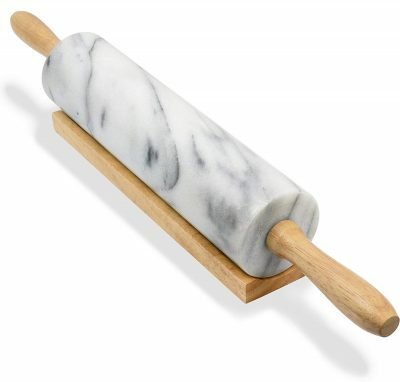 I love this beautiful marble rolling pin and the wooden holder it comes with. When you’re rolling out pie dough or sugar cookies the last thing you want to worry about is your rolling pin rolling right off the counter. The weight of this pin is amazing for rolling out a tougher or cold dough. 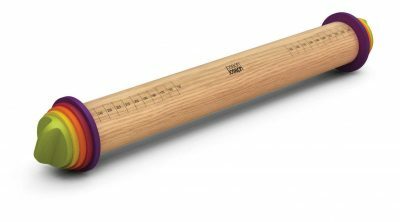 This is an AMAZING rolling pin for when you need everything even and precise.You can change out the rings on the ends to ensure you get your dough perfectly rolled out to 1/8 inch or 2 inch thickness. It’s also on salllllleee. Everyone should have a good dutch oven in their kitchen. Listen, I know, Le Creuset is expensive but this will last forever–like you can pass this down to your children. It’s a family heirloom (or at least it will be for me). It’s perfect for entertaining, pretty enough to serve in, and I honestly don’t know how I would make Dope Soup without it. 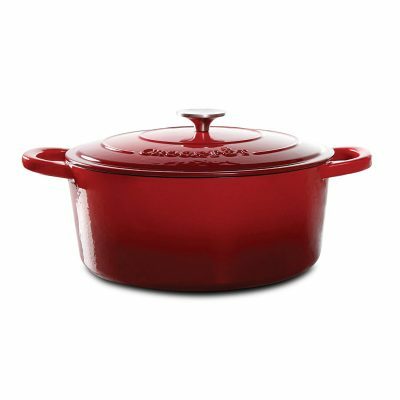 This Crock Pot Dutch Oven is under $100 and comes in a bunch of different colors. 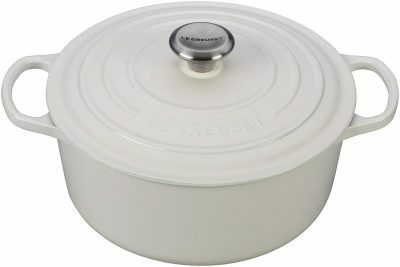 It’s a great budget option if you’re not looking to spend much but achieve the same look as Le Creuset or Staub! I LOVE this wooden block. It’s the perfect cutting board and also an excellent serving platter for an abundant cheese board or serving up a fruit plate. 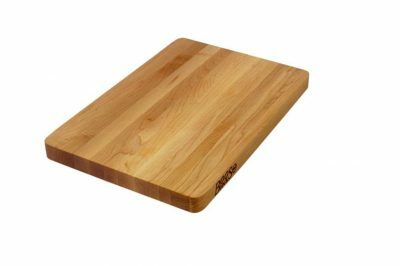 If you’re looking for a standard cutting board, this is the one for you. I have it in every size. It’s dishwasher safe, easy to store and super affordable. These are the BEST. Easy to clean, the perfect size for baking a batch of cookies and affordable. We don’t even need a budget option here because these are the best of the best for under 20 bucks! 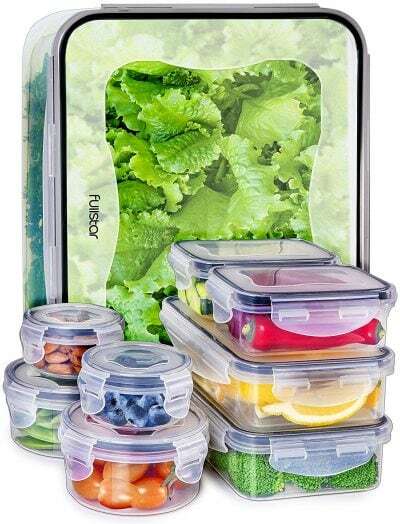 These glass storage containers are a serious life saver. Because we’re constantly developing recipes, we often have leftover food. 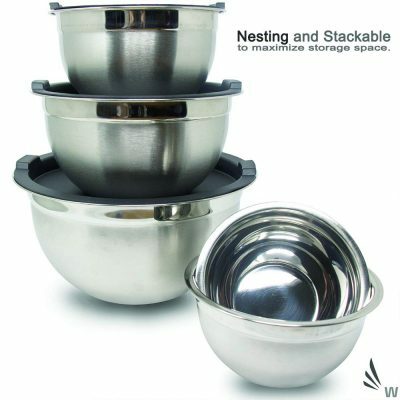 These are perfect for storing brownies, stovetop mac and cheese or frosting. 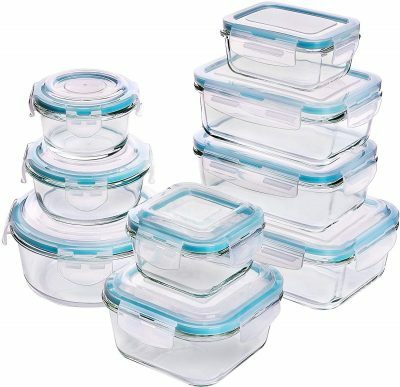 I have to say my FAVORITE thing about these glass containers is that they’re oven safe, so you can just pop your leftovers in the oven. These ones are plastic so you can’t stick them in the oven, but you still get that air tight seal that keeps everything safe and ensures no spillage. They’re dishwasher safe which makes cleaning a breeze. I love the variety in size you get. 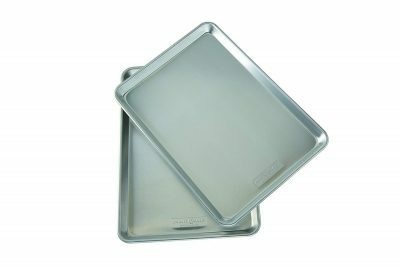 The smallest one is just big enough for a few egg whites and the largest can hold sheet pan of veggies or a big salad. 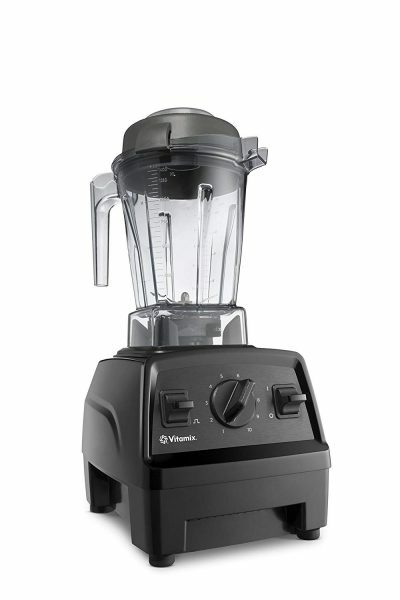 Ahh the Vitamix. I know it’s a pricey gadget, but it really is life changing. It’s amazing for making soups, smoothies, vegan queso (yum), and also doubles as a food processor. I’ve had mine for a couple years now and it’s still in tip top shape. 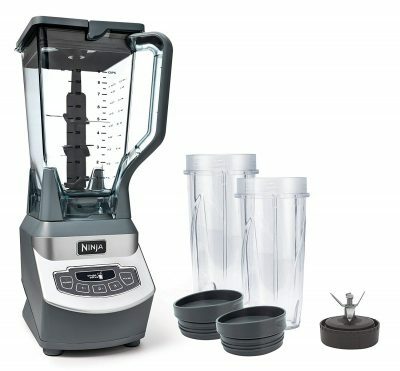 I love Shark Ninja and this blender is no exception. It’s super versatile, high powered, and just a solid kitchen essential. I love how the blades come up all the way into the blender. This means no funky chunks or areas that aren’t as blended. And at under $100, it’s a steal. We don’t measure all our ingredients out, but for those recipes where it’s really important, like macarons, this bad boy is my savior. 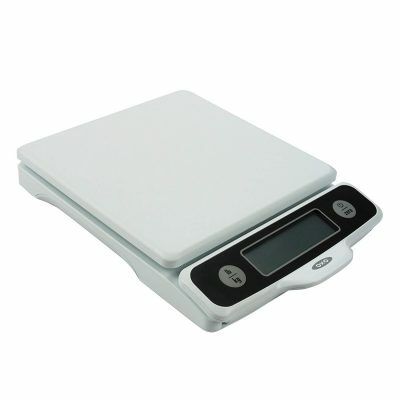 This scale is super precise, user friendly and comes in black or white! This was my first kitchen scale and it’s amazing. 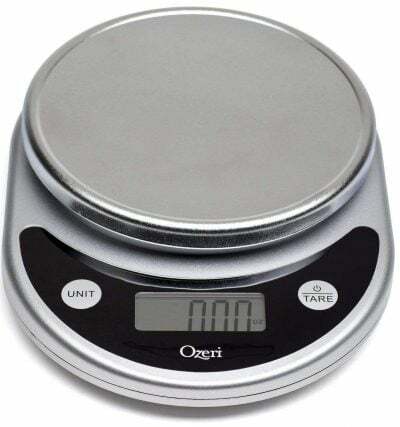 While it isn’t quiiite as precise as the OXO one above (like I wouldn’t use this in a science project or anything) it’s perfect for recipe testing and splitting your batter evenly between pans to get those nice layer. I could not live without these. You get a nice set of varying sizes with this set as well as COVERS! This is my fav feature for when you need to chill some cookie dough or transport your salad. 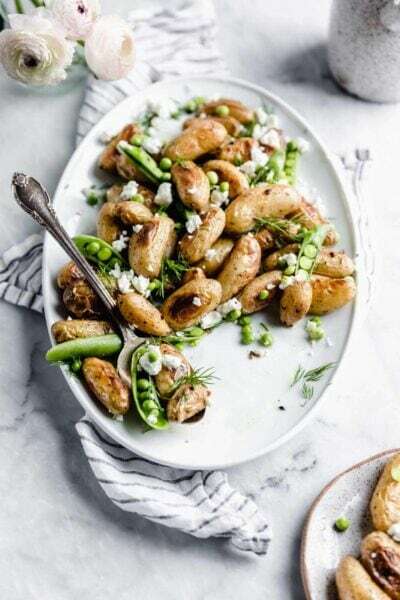 Save some plastic wrap and get these instead! 4 bowls for under $13? Sign a girl up. These stack, meaning they store super easily, and are perfect for melting chocolate in a double boiler, making a quick batch of pancakes, or whipping up a salad dressing. The Perfect Rubber Spatulas: Stiff enough to scoop out sauce or stir a thick caramel, but flexible enough to easily scrape down the sides of a bowl. And at $7 for 4 spatulas, it’s a yes from me dawg. 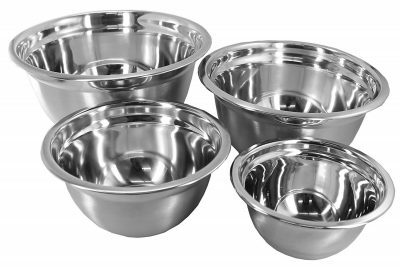 Measuring Cups: No nonsense stainless steel, dishwasher safe measuring cups. My favorite thing about this set is that it comes with a 2/3 and a 3/4 cup, which makes measuring a breeze. Wooden Spoon: You can never have too many wooden spoons IMO. I love this one because it’s practical and pretty. It makes a great prop in shoots! Happy shopping to you all! 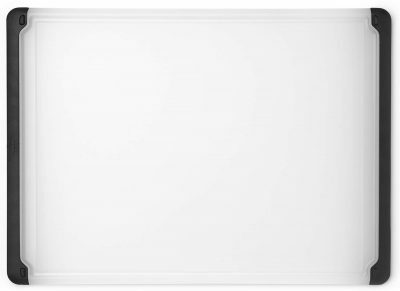 Are there any kitchen essentials you can’t live without that weren’t included here? I’m always looking for new gadgets! 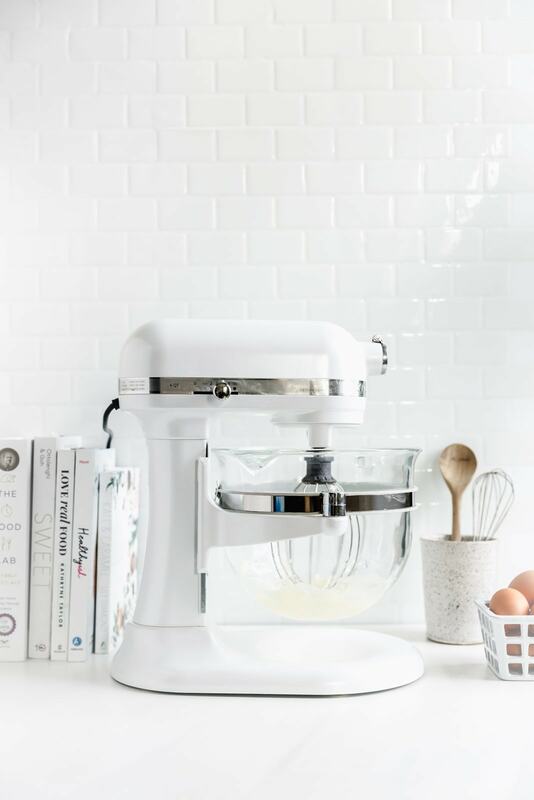 Great list and couldn’t agree more on the Kitchen Aid. 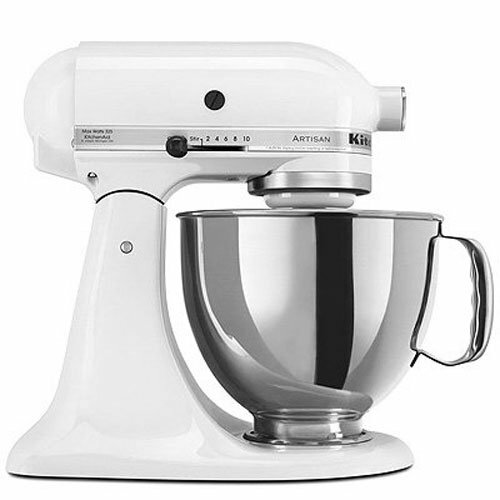 We put it on our wedding registry because, well, everyone does. Thought we’d never actually use it and now couldn’t live without it. 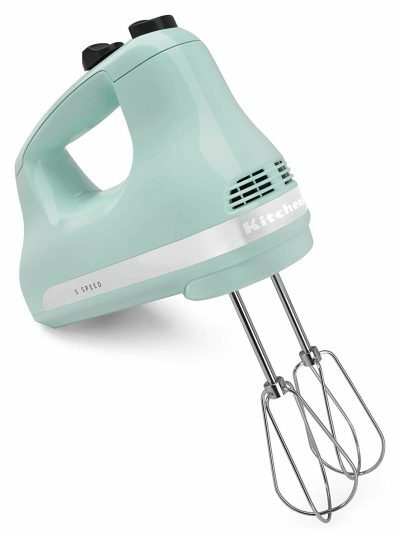 It’s what started my baking obsession. Thank you! I know right?! I honestly don’t know what I’d do without mine. Don’t forget about a good ice cream scoop and melon ballers! A good ice cream scoop can serve cold ice cream and evenly distribute batter into muffin cups. A nice melon baller is just fun to use!